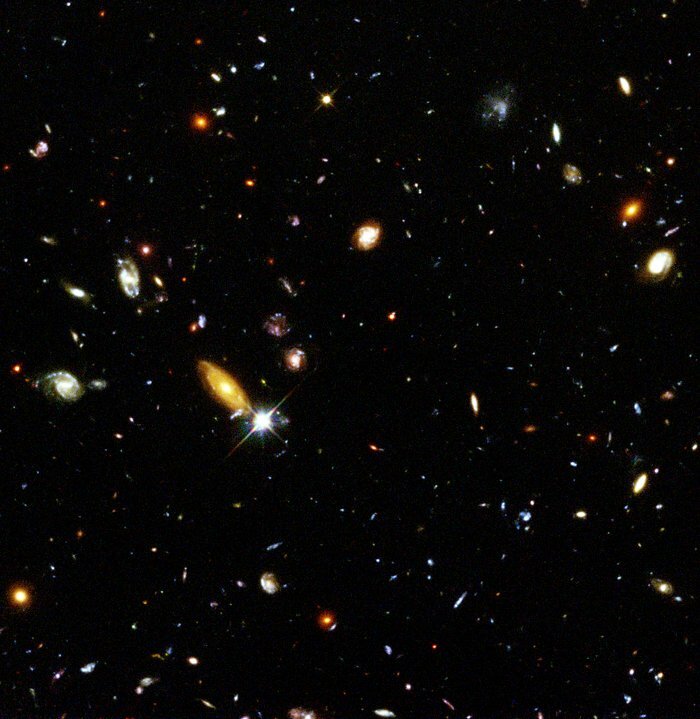 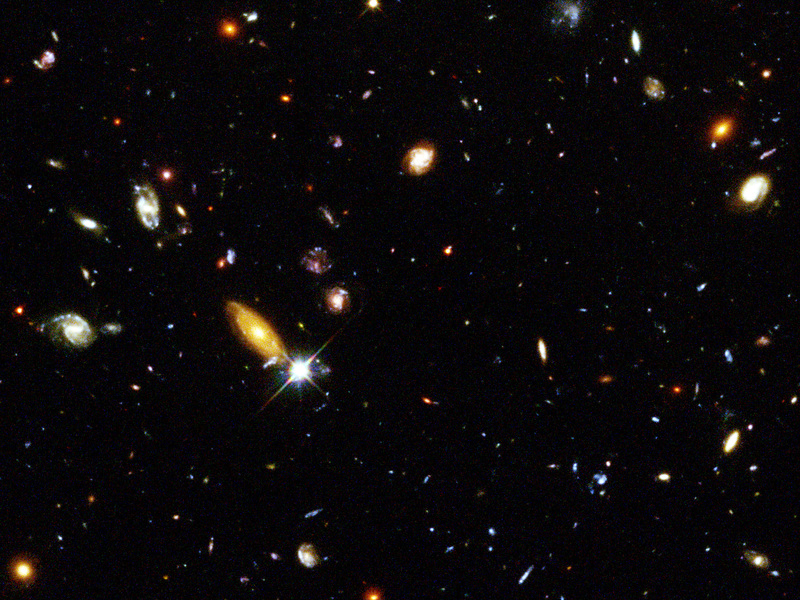 Several hundred never before seen galaxies are visible in this 'deepest-ever' view of the universe, called the Hubble Deep Field (HDF), made with the Hubble Space Telescope. 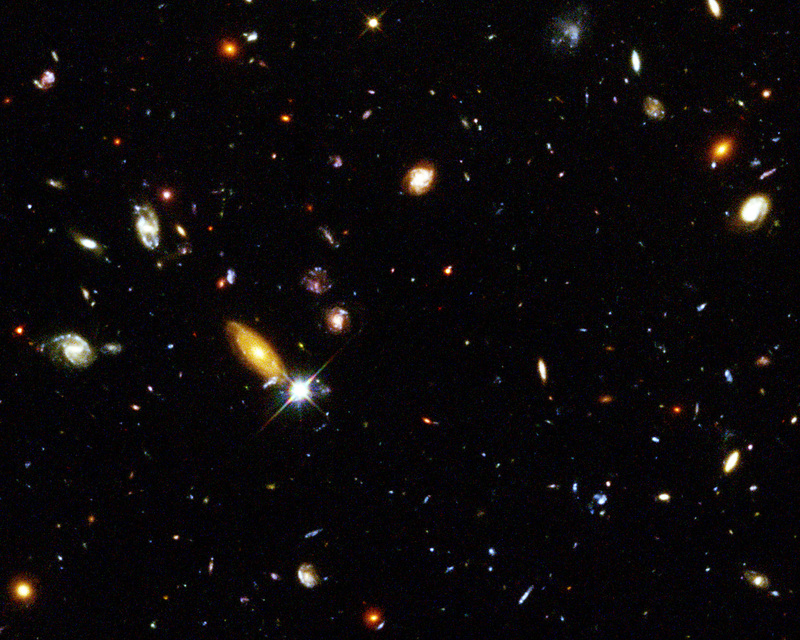 Besides the classical spiral and elliptical shaped galaxies, there is a bewildering variety of other galaxy shapes and colours that are important clues to understanding the evolution of the universe. Some of the galaxies may have formed less that one billion years after the Big Bang. 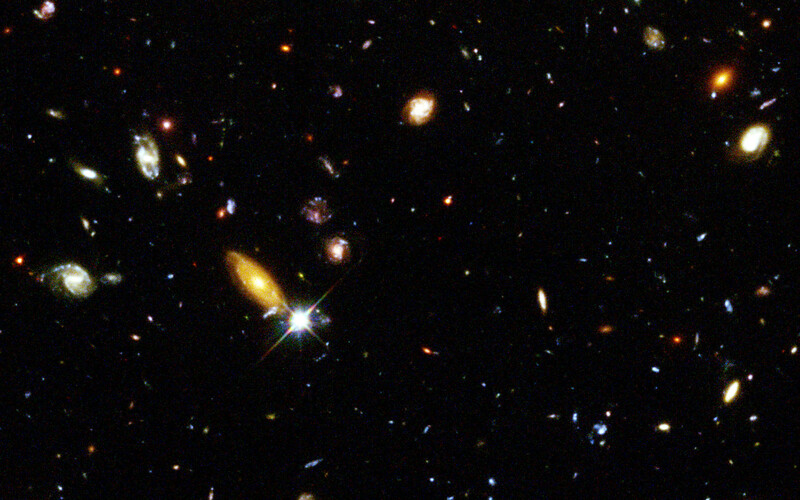 Position (Dec): 62° 12' 44.23"